to the next Scenic View. part of us, I suspect. your California tea. Repeat this past, I pray. the drought, doesn’t mind the flood. 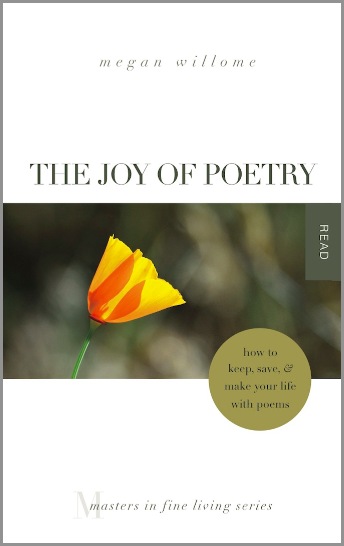 As I said in the beginning of this series, my publisher chose the tagline “how to keep, save, & make your life with poems.” If it had been up to me — thankfully, it was not — I would have put “save” at the end: keep, make, save. I can’t tell you how many times I’ve double-checked the cover of my book to confirm the order of verbs. Simply put, salvation is not the end. Afterward, you make a new life. By 2015 I was making my life with poems. 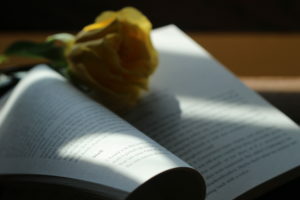 Reading them, keeping them, letting them save me were all part and parcel of my daily existence. 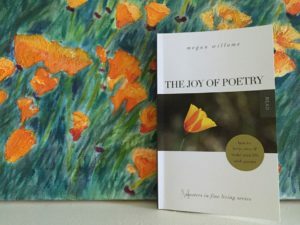 During that year, as I rewrote The Joy of Poetry, I began to see that my poetry practice was its own story, maybe one others could benefit from as they worked poems into their lives. Which poems that moved me began to change in 2016 after the book came out and I began to do some speaking events. Now I’m noticing poems I think will move people. Oh, that’s my host’s favorite poem — better us it when I do my tea&talk at her house. Or, oh, this one has great characterization — it’ll be good for the writers group I’m speaking to. Or, oh, this one if perfect for the book club I’m presenting at next month. I want to show others how to keep, save, & make. 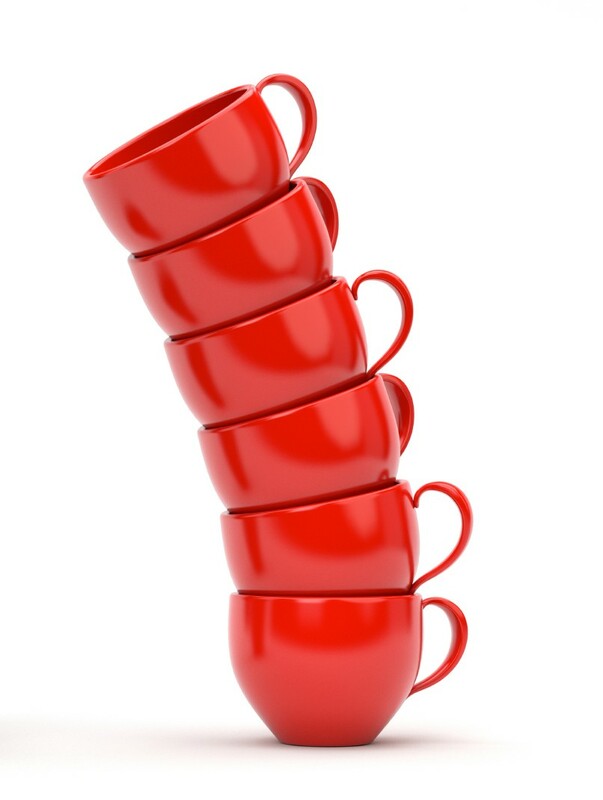 Depending on the group, I might emphasize one of those practices over another. During these last two years we have moved from the initial crisis, not unlike the 1906 San Francisco earthquake, to a period of frequent mild to moderate tremors. It’s not unlike that scene in the movie L.A. Story, when everyone in the restaurant goes about their business as an earthquake hits and fruit falls from displays, glasses rattle and entire tables drift from right to left, and Steve Martin’s character looks around and says, “I give it a 4.” Four is fine for us. We don’t need to panic until, oh, about a 7.5 on the ol’ Richter scale. When I share a poem or share about the book, I don’t know where the people in the audience might be. They might be genuinely rocked by a 4. They might have experienced an earthquake that’s larger than anything on my scale. I’m not a psychologist; I’m a journalist. I can interview you and tell your story, but bless my own heart, I have no idea what you should do in your situation. Other than read a poem a day. Other than keep the ones you like. Other than be on the lookout for ones that might save you. Other than make poetry a cornerstone in your life. Oh, and brew some more tea. hope. Thought, No. But thank you. cries until it gets my crumbs. After my mom died I started keeping a journal, just a Word document where I could write through what was going on in my life on a semi-daily basis. I titled the document “Weather Report.” It could just as easily have been called the same name as a geology class my husband took in college, “Earthquakes and Other Natural Disasters.” 2011-2014 were years of what I like to politely call “personal natural disasters. “The tectonic plates that formed my stable little Pangea shifted, tearing apart my happy island. It would take years to understand this destruction was not caused by some bogeyman. It was climate change, with destruction at the poles, the equtaor, and underground. Writing through my problems had always been my go-to way to cope. Now that practice betrayed me. It entrenched ideas that were just plain wrong. I’d feel more angry after writing, not less. And there were continued aftershocks. It wasn’t exactly to safe to leave my deepest thoughts laying around, unsecured. But some of what I was writing could be read by anyone. I was beginning to use my journal in a new way, to write about things that were less explosive: a bike ride on Willow City Loop, a friend’s blog post that moved me. I wrote about articles, movies, books, podcasts. Musings about wheat berries became a post at Tweetspeak. Sometimes my writing amounted to nothing more than noticing the life in my own backyard. I wrote about the dogs, the birds, the crepe myrtle, the guy driving a riding lawnmower at 6:30 on a Sunday morning in a yard that didn’t deserve it. Writing in the moment was centering. And I journaled about poems. 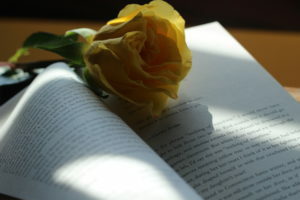 The combination of reading a poem a day for a decade and the daily earthquakes in my life meant poems were slipping into the cracks in my soul. I could not not write about them. The poems were stronger than I was. Somehow they became even stronger when I stopped journaling on my computer and migrated to pencil and paper, right after walking the dogs early in the morning, while the moon was still out. These were pages I could leave open anywhere. How revealing was it to journal about Emily Dickinson’s “I Had No Time To Hate, Because”? Well, on one hand, if you knew the backstory, it said everything. And if not, it’s just my thoughts on Dickinson, marveling at how unconventional she still is. That particular poem pointed the way forward in a situation involving a couple I can only describe as the Dursleys, Harry Potter’s suppremely annoying aunt and uncle. One thing is certain. I believe journaling about poems for those four years saved my life. It allowed me to explore terrain without triggering more subterranean rumblings. If I died tomorrow, anyone could read these journals I’ve left behind. They might not be able to figure out when they were written without some sleuthing, but here’s a hint: If you save your selections from Every Day Poems, The Writer’s Almanac, and American Life in Poetry, you can pretty well trace the dates. could ever escape a black hole. But science has been missing something. a telltale pattern on the horizon. — at least in principle. the eternal prisons they were thought. If you feel trapped, don’t give up. By the time I started a poetry scrapbook in late 2002, I’d been reading a poem a day for three years, from the time NPR came to Waco and broadcast The Writer’s Almanac at noon. It was my first daily exposure to poetry. For our anniversary that year John gave me a copy of Good Poems, a collection curated by Garrison Keillor. I had gotten to the point that not only did I like poems, but I picked favorites. I wanted to remember my favorites. Never a gal for scrapbooks, I collected words. Keeping became a discipline I looked forward to. Each November as Thanksgiving neared (my personal New Year’s), I’d look forward to my trip to the store to pick out a new three-ring notebook in which to save poems. What color would I choose this year? I even enjoyed the limitation of late-season offerings on the shelf. But as my kids grew into middle and high school, three-ring binders were something I purchased in bulk. When it came time for the handoff I’d just grab a leftover notebook from a drawer. In 2016 those two practices converged — the only unused binder just happened to be yellow. If you’ve read The Joy of Poetry and you’re paying attention to dates, you’ll notice that this Keep section corresponds to the recurrence of my mother’s cancer and continues through her death. The year she died my poetry scrapbook was mauve. The first poem was a haiku I wrote and printed to use as a Christmas card. I printed it on sheets from a notepad illustrated by a child at M.D. Anderson Cancer Center. In that year’s notebook, along with my mom’s obituary and euology, are the obituary and euology for my grandfather, who died about six weeks before Mom. I have two sweet notes from my kids. There’s also poems from Mary Oliver, Rumi, Lucille Clifton, a fishing poem by Robert Traver, and a selection from Romeo and Juliet printed on a dark chocolate wrapper. Yes, I was grieving, but I was okay. I didn’t need saving yet. you’re Selena Gomez or a summer snail. It knows what it’s doing.